Isn’t it possible to mute while streaming? I’m using live pro. @b1gn1ck good idea, never thought about it until I saw your in-app bug report (thanks! ), please add it to Feature Requests. @k Great stuff and thanks! @b1gn1ck mute video (with zoom and tap-to-focus) has been added to 1.203, please update Live Pro. 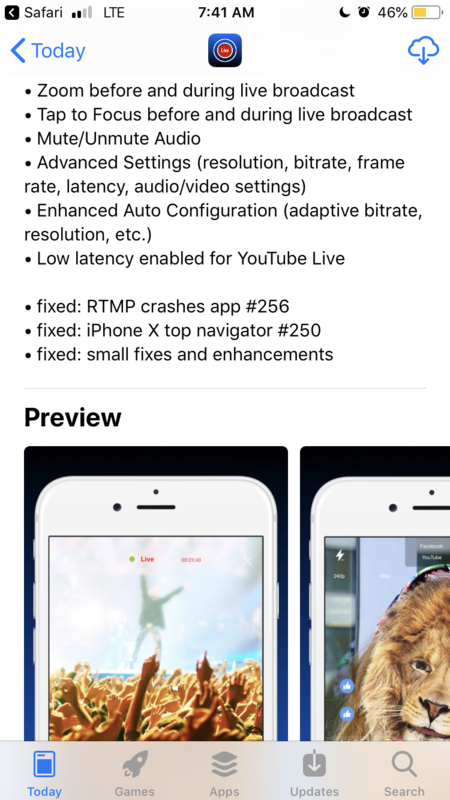 We’re also pushing a major release that fixes several video quality issues, the coming week.